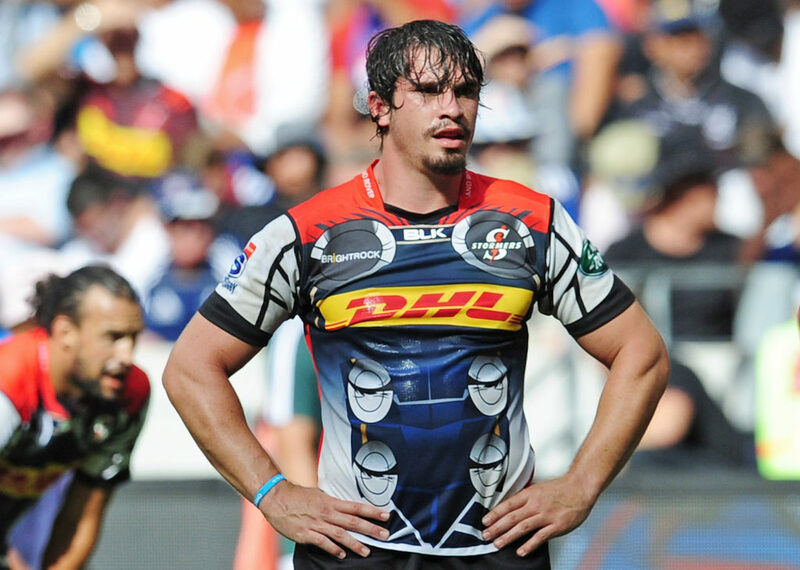 Stormers coach Robbie Fleck has confirmed that Jaco Coetzee will only miss the next two to three weeks after suffering a knee injury in their win over the Rebels. DYLAN JACK reports. 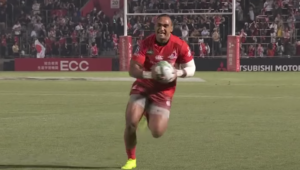 The loose forward was removed from the field early in the second half in Melbourne in visible pain, leading to fears that he could be set for another long period on the sidelines. 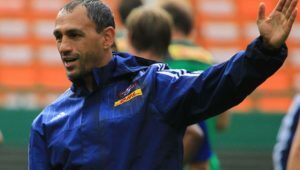 However, Fleck eased concerns over Coetzee’s status on Monday, saying that the injury was not as bad as they had originally feared. ‘The feedback that I have had is that it is just a contusion [bruise],’ Fleck told the media from the team’s training ground in Bellville. ‘It is not as bad as we had thought. We were thinking that he had broken his kneecap, which is way more serious. Hopefully he will be back in the mix in the next two to three weeks. 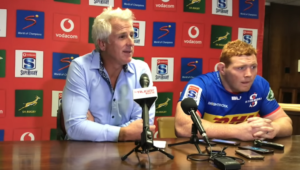 The Stormers received a further boost, as Pieter-Steph du Toit was back at training following his paternity leave, which allowed him to miss the last two games of the overseas tour. Sikhumbuzo Notshe and centre EW Viljoen have also returned to training after recovering from their respective injuries, but will play for Western Province in the week and will only be available for selection for next weekend’s match against the Vodacom Bulls. 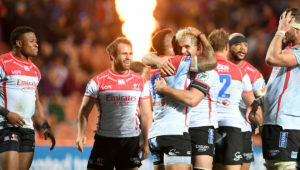 JJ Engelbrecht has also returned to full fitness and is ready to start for this weekend’s clash against the Brumbies, while Fleck was less optimistic about Dan du Plessis, who could be out for an extended period.